Diabetes is the inability to manufacture or properly use insulin. It impairs the body’s ability to convert sugars, starches and other foods into energy. If you have diabetes, contact Laser Podiatry Associates for a comprehensive evaluation and diabetic foot care plan. Don’t wait! The long term effect of elevated blood sugar can lead to serious damage to the eyes, heart, kidney, nerves and feet. Laser Podiatry Associates is just a phone call away. 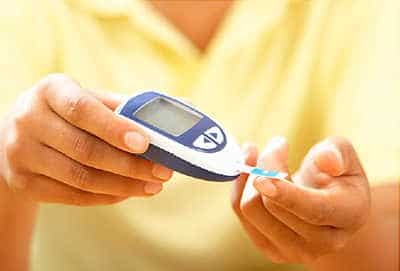 Treatment can vary depending on the severity of your diabetes. Drs. Benjamin and Mullendore can recommend the proper course of action once an evaluation has been conducted.